Several times in the recent past, I’ve seen this memorable front from the September 1962 edition of True Crime magazine showcased on the Web, and it popped up again today on the Seattle Mystery Bookshop Hard-boiled page. 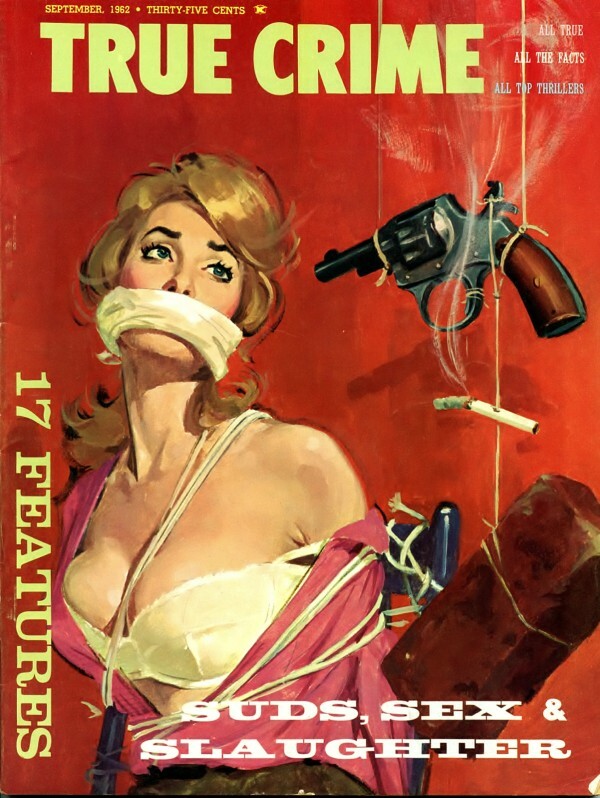 Can anyone out there identify the artist responsible for the cover painting? No matter how hard I search the Internet, I don’t find any credit information.